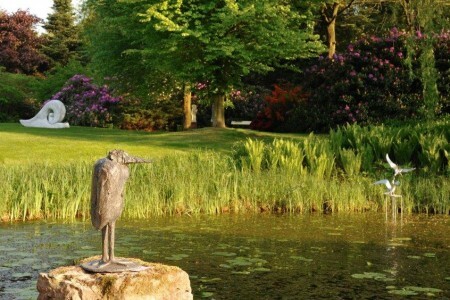 Sculpture Garden Mariënheem is surrounded by forests and heathlands. The landscape offers extensive cycling trails, which makes the sculpture garden an ideal place to relax. The garden has a size of about three hectare and offers ponds, lawns and an orchard. Sculptures and objects made of brass, natural stone and glass are exhibited in the gardens. Dutch artists like Alied Holman, Cees Meijer and Jean Groenendijk exhibit their work in the garden. A gallery, that is part of the garden, shows paintings from the 19th and 20th century and works from contemporary artists. The sculpture garden is closed during the winter and is open from March 28th until October 4th.